Published: March 11, 2015 at 03:34 p.m. 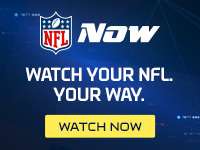 Updated: March 12, 2015 at 12:25 a.m.
General manager Ryan Pace announced publicly Wednesday what had become abundantly clear as free agency opened: Jay Cutler will be the Chicago Bears starting quarterback. "We went through the process of thoroughly evaluating the roster and we're moving forward with Jay as our starting quarterback," Pace told reporters. The pronouncement comes weeks after Pace and coach John Fox declined to comment on Cutler's status during the NFL Scouting Combine in February. The underlying message at the time was that the Bears might like to move away from Cutler if they could find a trade partner and a substitute signal-caller. Neither scenario seemed realistic. NFL Media Insider Ian Rapoport reported that while other teams were aware Cutler might be available, none of the teams he talked to who might theoretically be in the quarterback market had been contacted by the Bears regarding a possible trade. Cutler is due $15.5 million guaranteed in 2015. Pace's Wednesday proclamation assures that Cutler will be on the roster tomorrow when $10 million of his 2016 salary becomes guaranteed as well. While the Bears were able to move on from Brandon Marshall via a trade, Cutler's enormous contract -- given by the previous regime -- combined with erratic play made him impossible to move. With little else in the way of prospects at the position, Bears fans will have to grit through another season of Cutler under center, and hope Fox brings a ground-and-pound style that takes the ball out of his mistake-prone quarterback's hands more frequently.